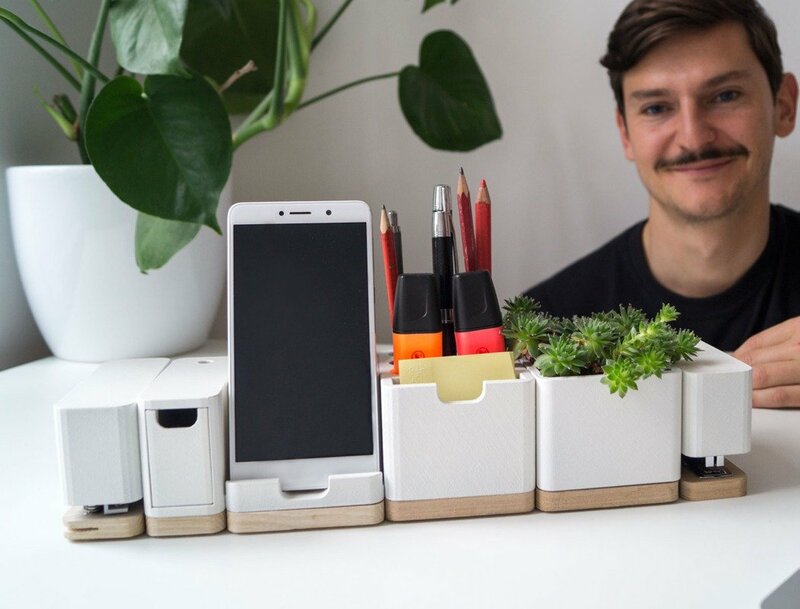 Desk organization is something that a lot of us battle with each day, and there are a wide variety of desk organizers available to us that aim to assist in the removable of unwanted clutter! 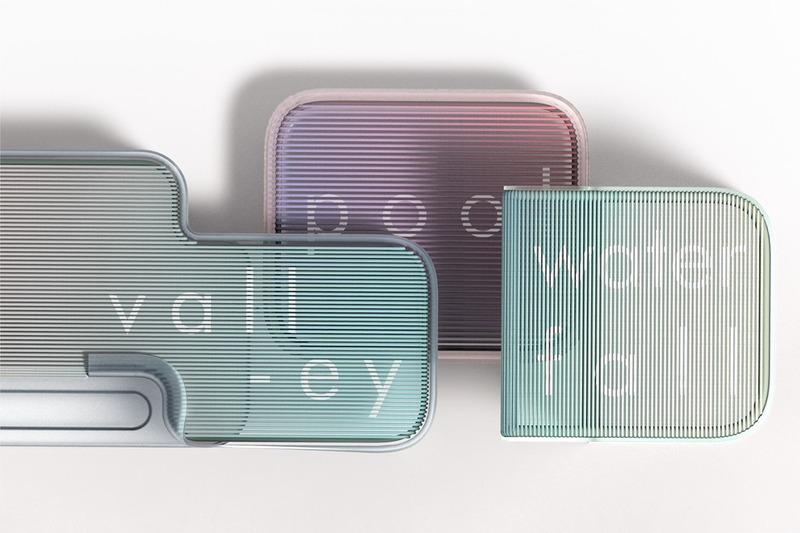 But none of them have looked quite like this series, where their form is based on some of the most beautiful and tranquille sights that nature has to offer… Valleys, Pools and Waterfalls. These creative forms consist of rows of thread that the user can neatly place items on or longer items, such as pens, securely in. 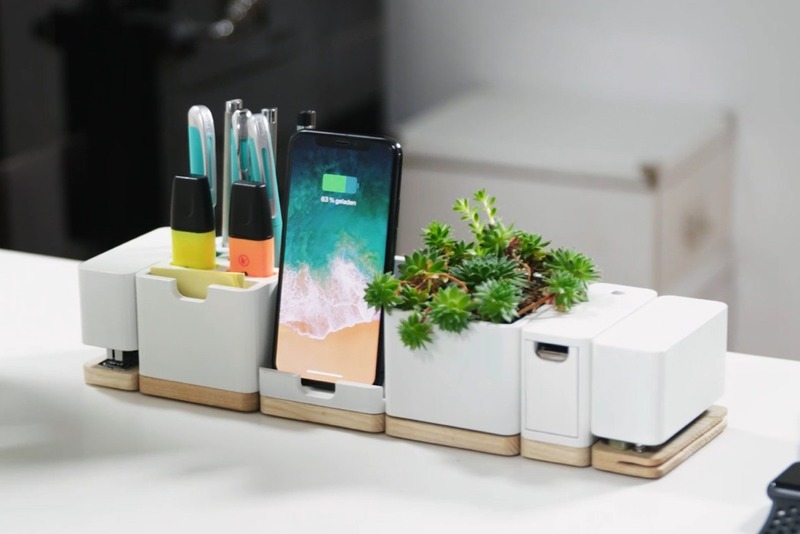 This flexible method of organizing stationary also lends itself to cable management and holding smart devices in place, clearing the desk up even further! 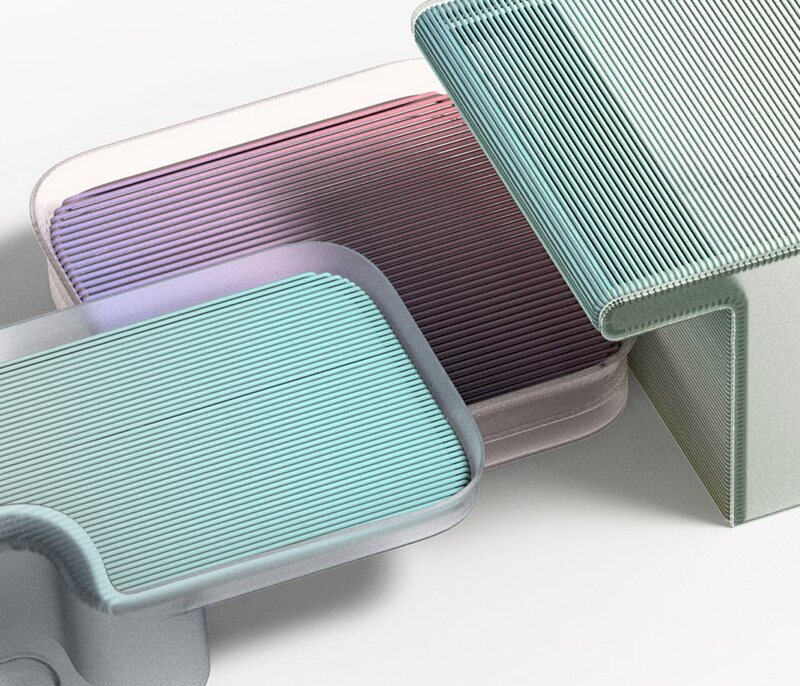 The three stunning forms can be combined to create visually interesting, sculpture-like desk accessories that will encourage the user to have a far neater workspace. 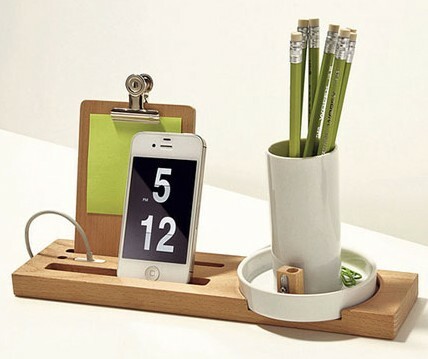 A desk organizer that can be used by putting on or inserting other office supplies such as pencils and erasers. 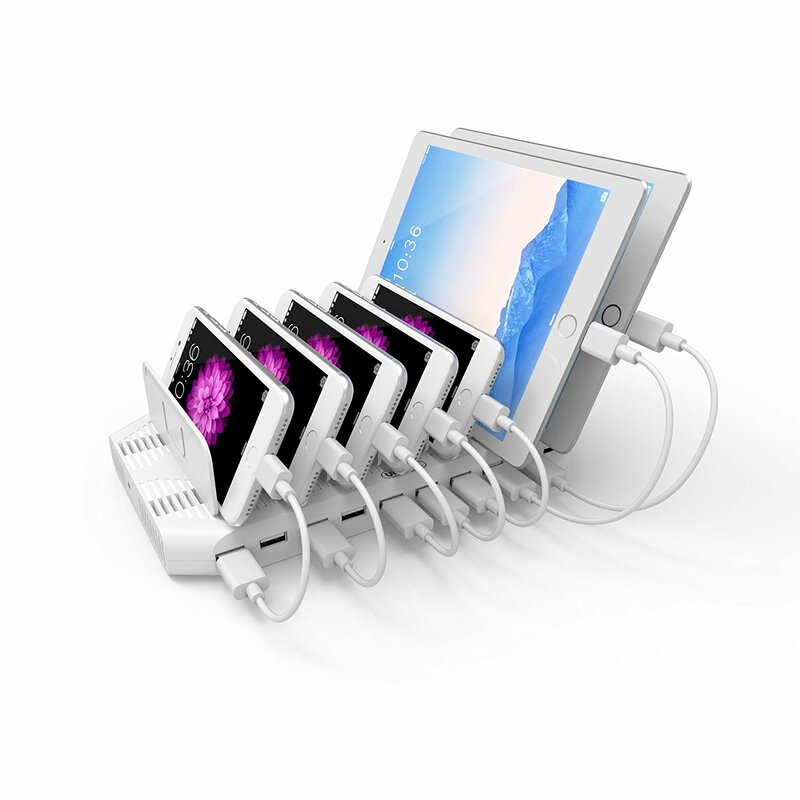 In addition, multiple smart devices can be inserted and can be used to help organize various cables. 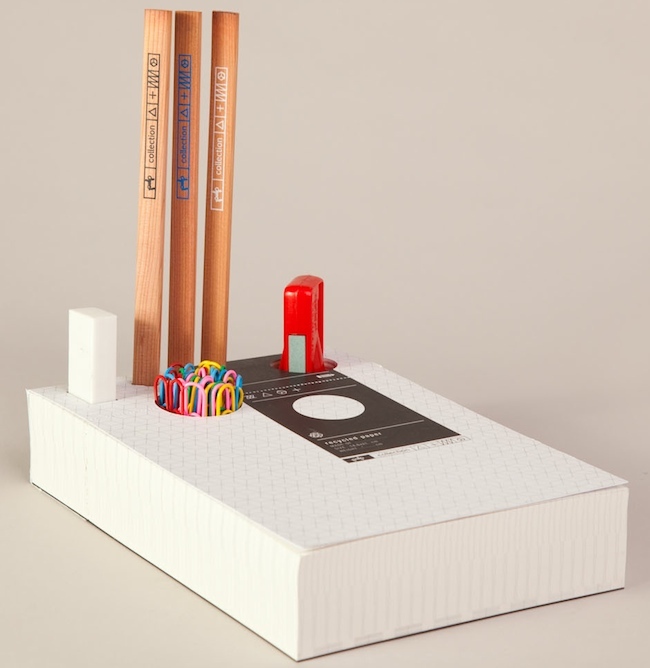 An organizer that utilizes the half-spin properties of a string. The user can check, remove, or store clips or rubber bands without having to open the lid with difficulty. 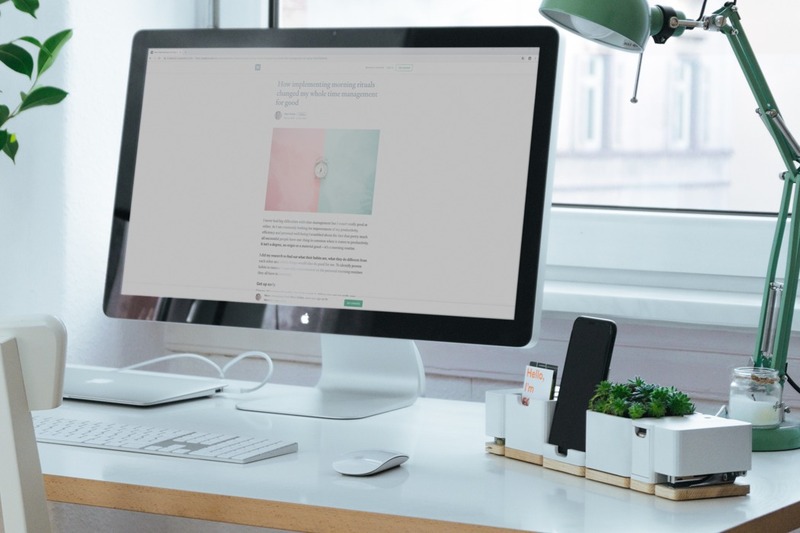 Your desk could use some tidying up. 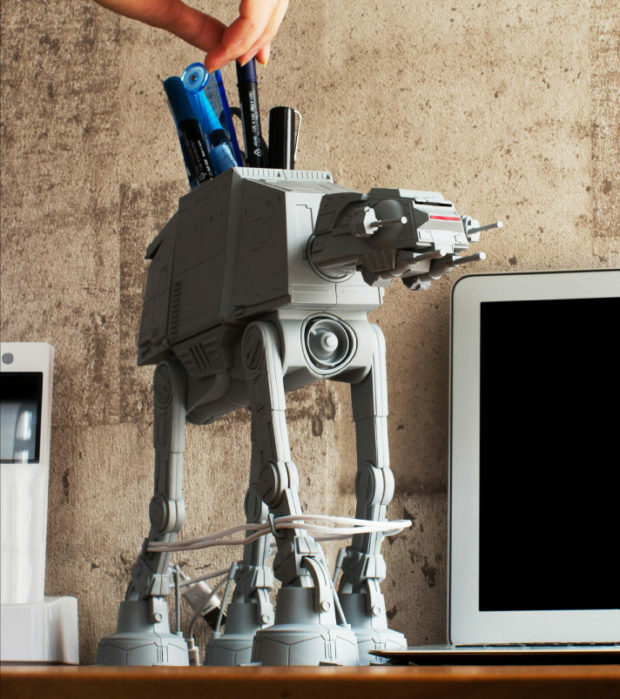 Why not organize your desk stuff while showing your love of Star Wars? 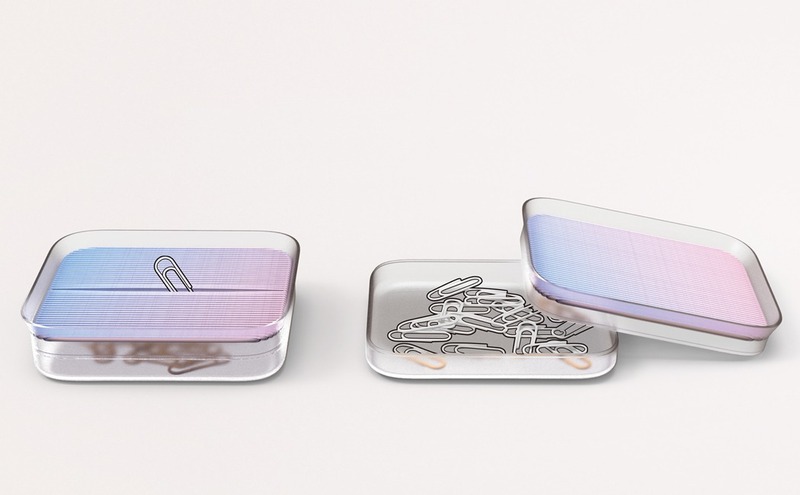 Premium Bandai has the perfect desk organizer. The AT-AT Multi Stand is a workspace storage container that also happens to be a 1/72 scale Imperial walker model, measuring in at about 10.6″ tall. This fully poseable AT-AT has lots of hidden spaces to store your things, including a coin slot, pen holder, and multiple compartments for stuff like paperclips and other small items. The best part is that it comes with a tiny Snow Speeder, equipped with a tow hook. 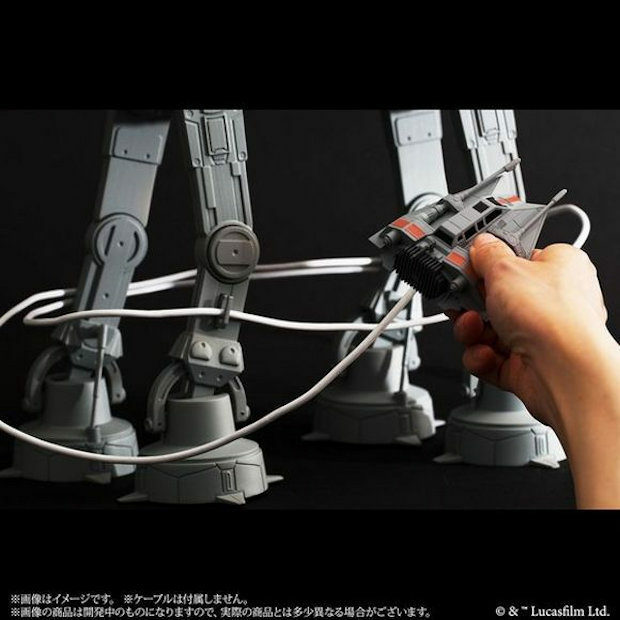 This lets you wind your charging cables around the legs of the AT-AT to recreate one of the film series’ best scenes. 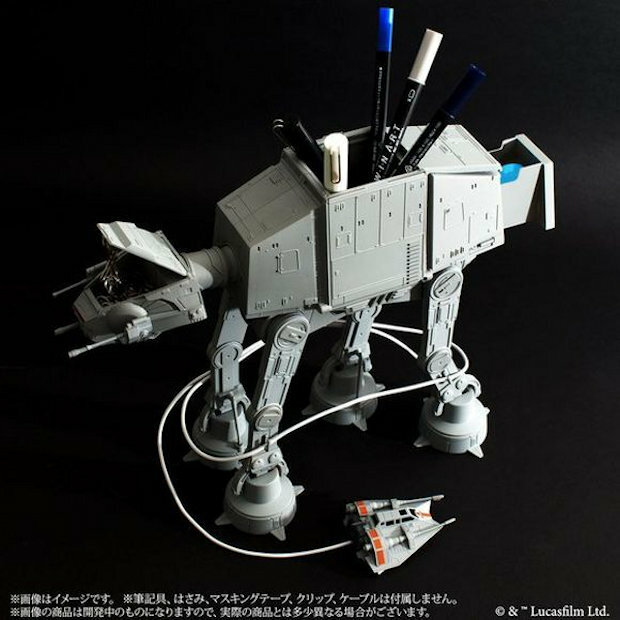 The AT-AT Multi Stand will be available in December for 9,720 yen (~$95 USD). Best desk toy ever. 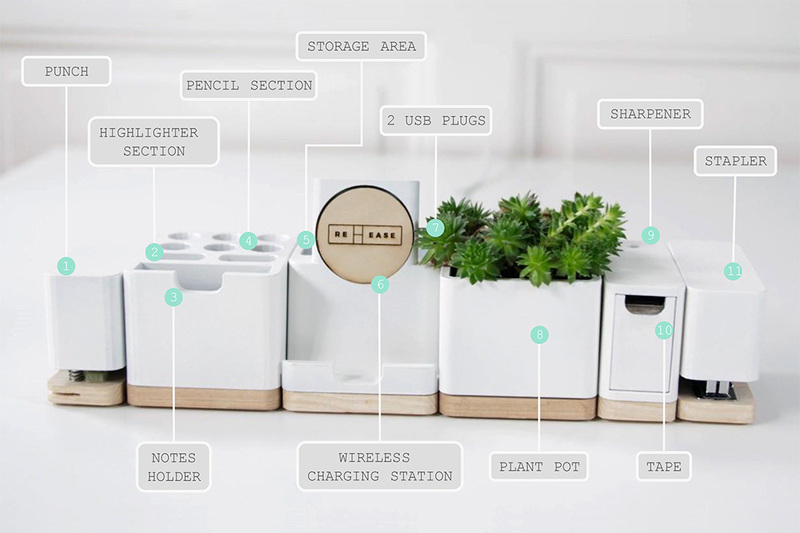 We really like the simplicity and functionality of the W+W Organizer. 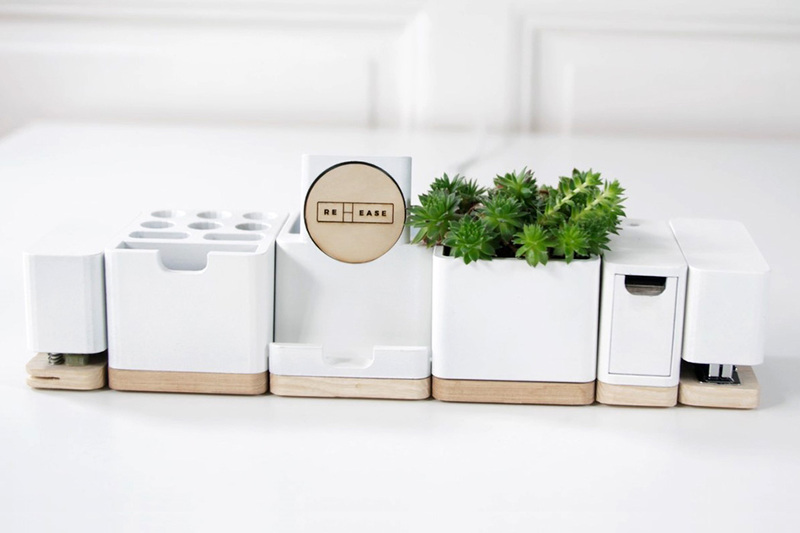 Designed by Oliver Franz, it combines wood and white ceramic materials. 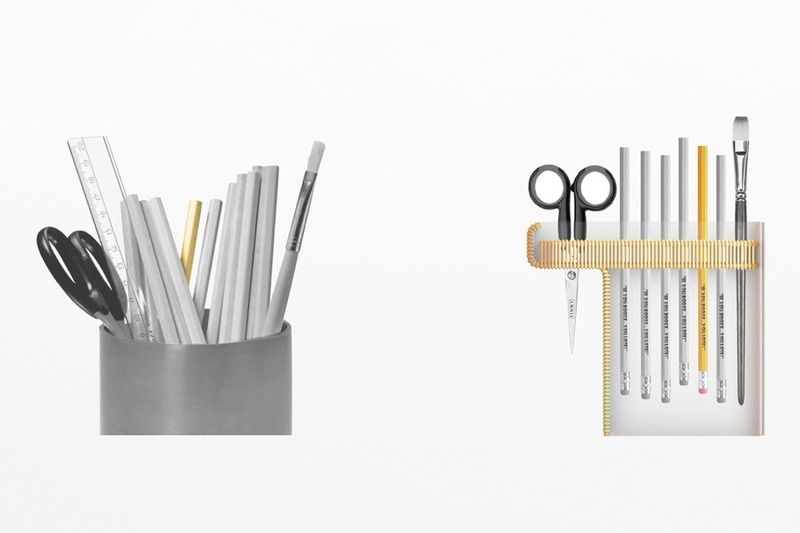 The tray around the pencil cup lets you stash small items like paper clips, thumbtacks, and erasers. The memo pad has a clip to hold small notes (size A7 paper). 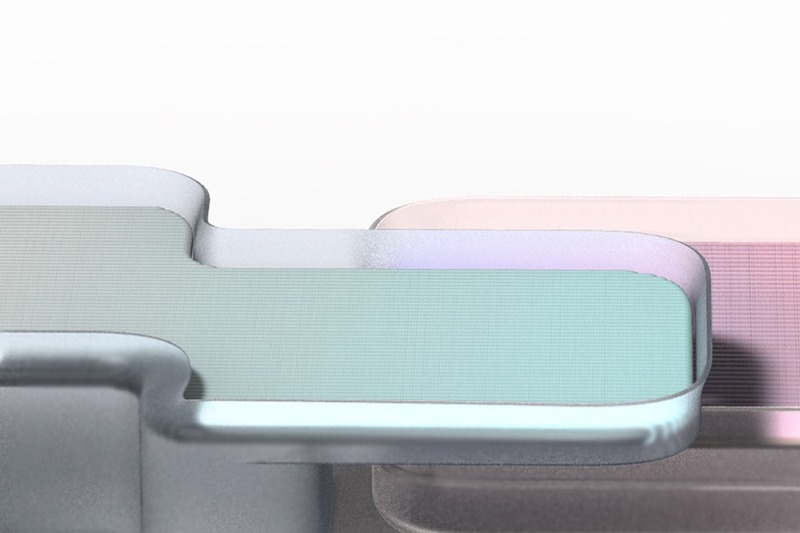 There’s also a groove to hold your iPhone 4 or 5 in portrait or landscape mode. 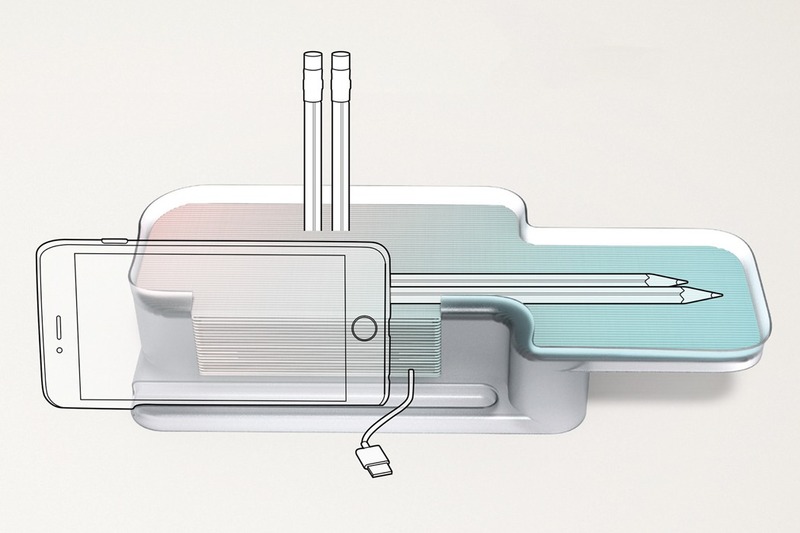 Here’s the really smart part- there are two cutouts to hold your charging cord in place when it’s not being used. 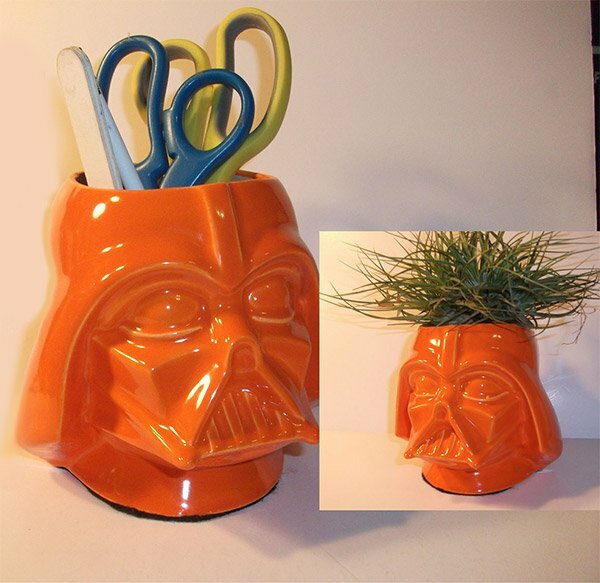 If you’re looking for a place to put that plant you’ve got, or just have a bunch of crap lying around your desk that needs a home, then look no further than this Darth Vader desk caddy. 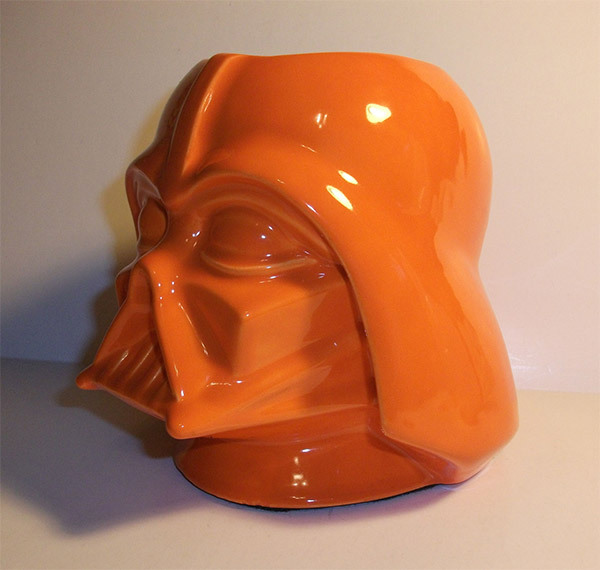 This cast ceramic caddy was made by Strokes of Madness and coated with an awesome neon orange glaze to make it really stand out. Yeah, I know Darth Vader’s helmet wasn’t orange, but that doesn’t mean it shouldn’t have been. Maybe in Episode VII, they’ll figure out a way to do that. Perhaps Luke will find himself turning to the Dark Side like his father did, and then don an orange outfit as a tribute to dear old dad. Luke Vader kind of has a nice ring to it, doesn’t it? But I digress. 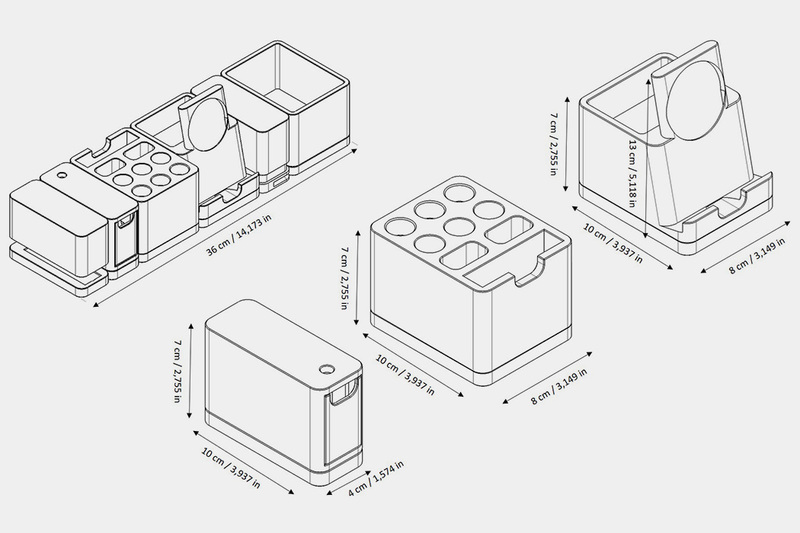 If you want this caddy, head on over to Etsy – where you can grab it for $28.99(USD). If it’s gone by the time you get there, there’s always the Vader nightlight, with glowing red eyes and breathing apparatus. Though I still vote for the Orange Lord. 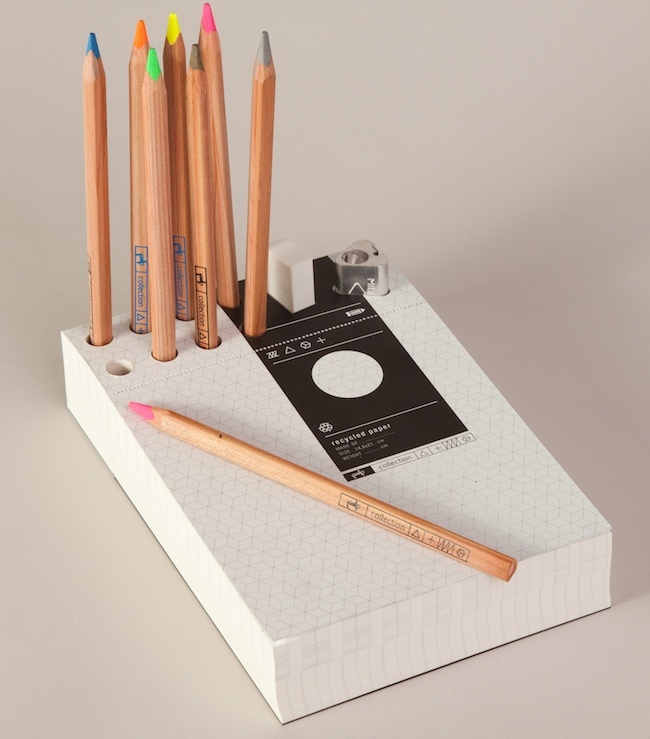 Here’s a cool little desktop organizer, it’s the all-in-one Memo Pad Organizer. It’s a thick notepad holding 380 sheets of paper with cutouts at the top to hold your desk supplies. What’s cool, besides the style, is that your writing tools and paper are always in the same spot. It comes in one of three different styles. 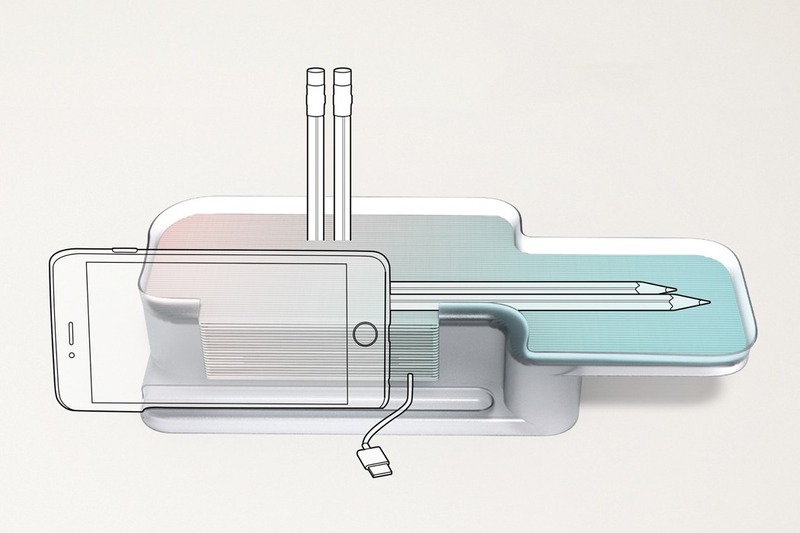 The notepad itself is perforated below the cutouts so your pencils won’t topple over as you use up the paper. Each of the three different styles comes with matching desk supplies to fill in the holes. It’s made entirely of recycled paper, which makes this a very green organizer. 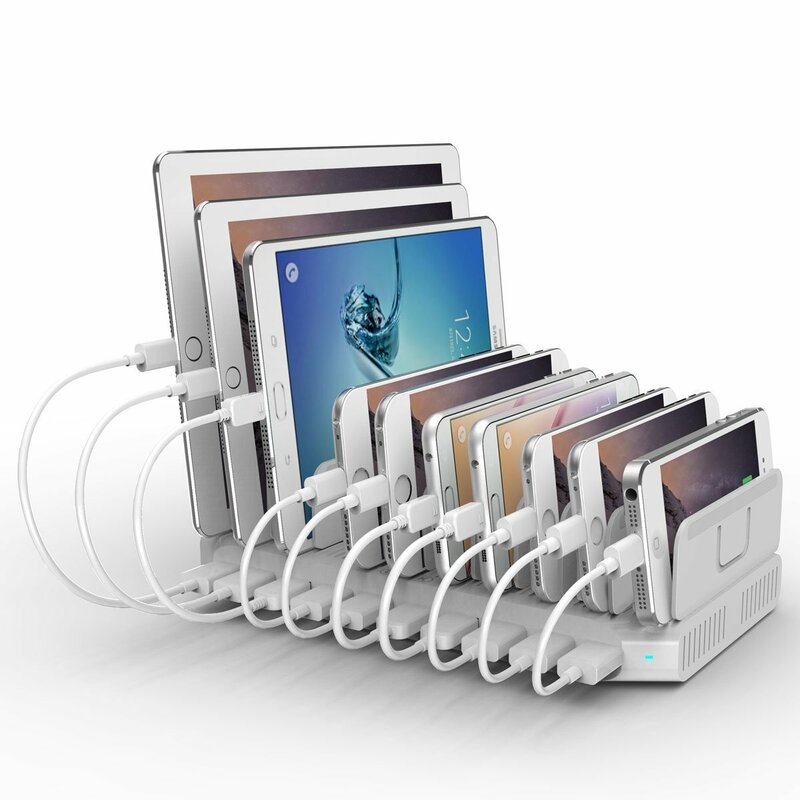 It measures a bit over 5″ by 8″ and prices range from $63-$74. If that’s a little too rich for you and you are handy, you could DIY something similar with a Dremel (not sure how you’d perforate the paper though- anyone?). Do you have a spare N64 controller laying around and collecting dust? Chances are you have at least two. 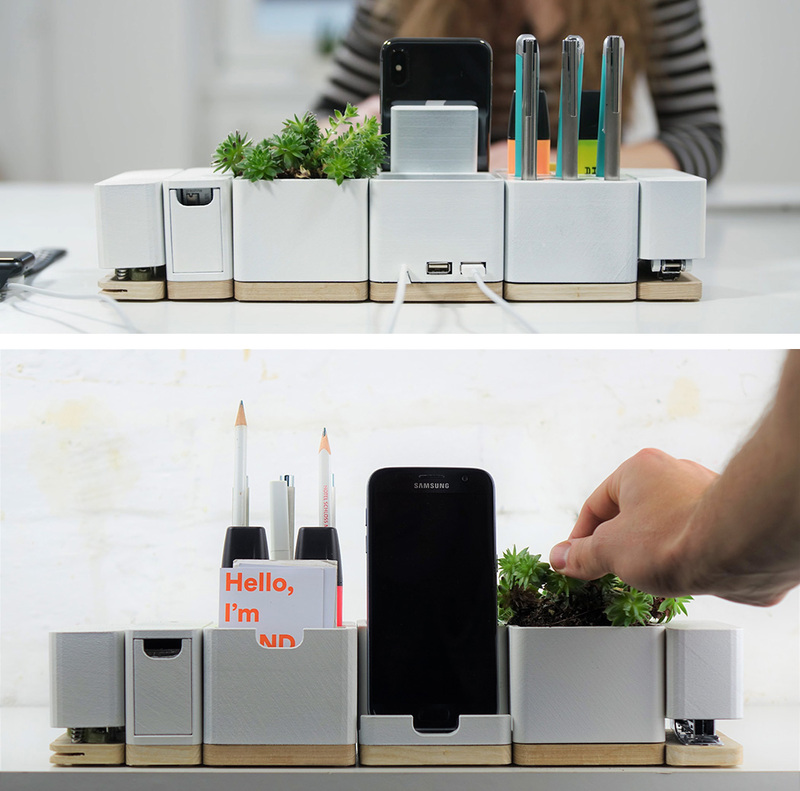 Why not put them to good use and turn them into handy desk organizers. 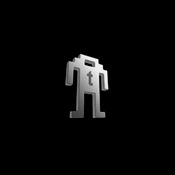 That’s what Graeme Abraham of GreenCüb has done here and it will make your desk look extra geeky. He has turned this N64 controller into a neat retro desk organizer that will hold all of your things. 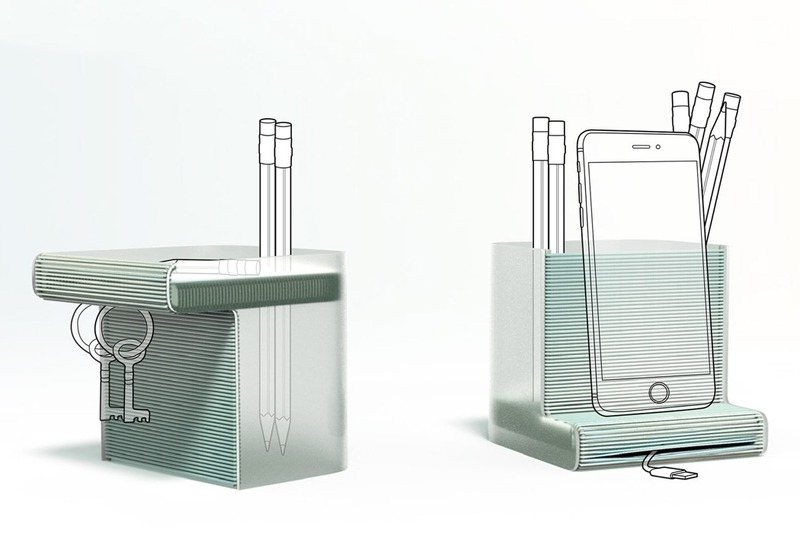 It also has a USB extension as well as places for your pens and paper clips. And, crayons – for when you want to color that Super Mario coloring book you have. 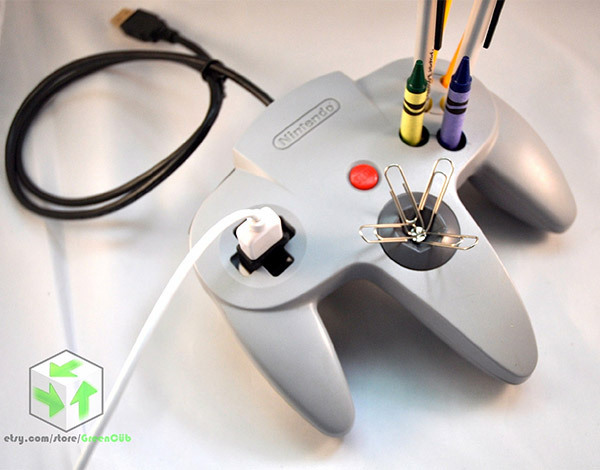 It will cost you just $15.99(USD) from Etsy, where you can find other controllers and old consoles converted into desk caddies. 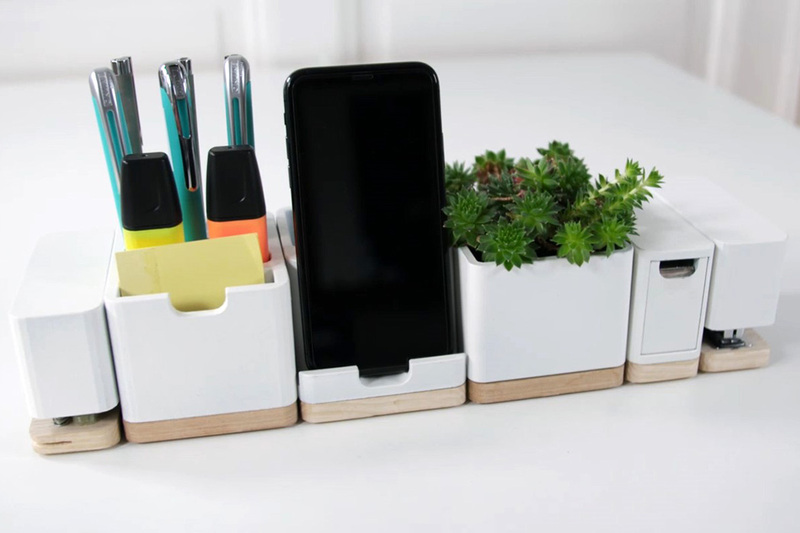 Everyone can appreciate a geeky desk organizer, and they make a great inexpensive gift for your friends.